From now on, backseat pleas of "Are we there yet?" will be replaced with "Can we go for another ride?" 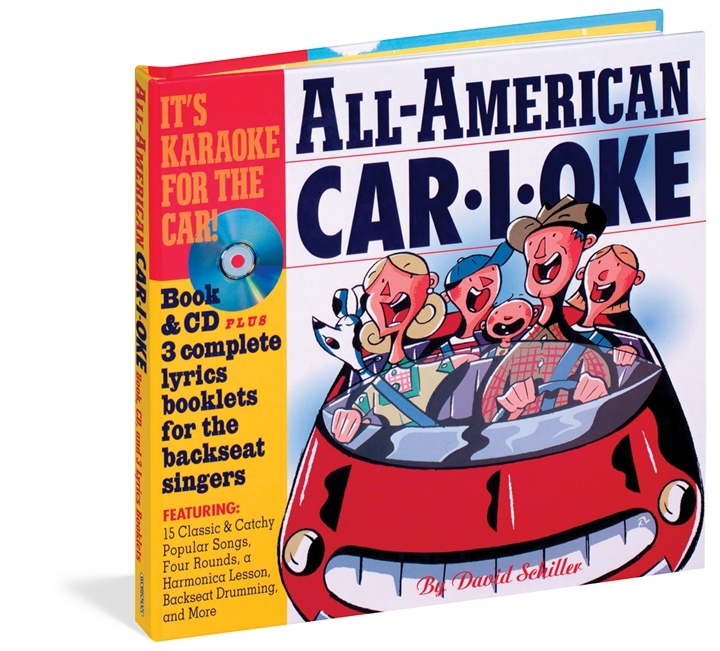 Introducing David Schiller's ALL-AMERICAN CAR-I-OKE -yes, karaoke for the car! A kit including a book of 15 great family sing-along tunes and activities galore, an accompanying CD of music, and three booklets of lyrics for the back seat and the way-back. Sing a gutsy, rocking version of Proud Mary-and learn some cool seat-dancing moves to go with it. Put on a show voice for Give My Regards to Broadway. The CD is filled with musical variety and has just enough vocals to keep everyone together; the 64-page book contains not only all the lyrics, but also tips on singing, history, lore, and trivia; the three booklets contain just the lyrics.